The root of the perennial herbaceous plant Panax quinquefolium L. of the family Araliaceae. Mainly produced in U. S. A. and Canada. 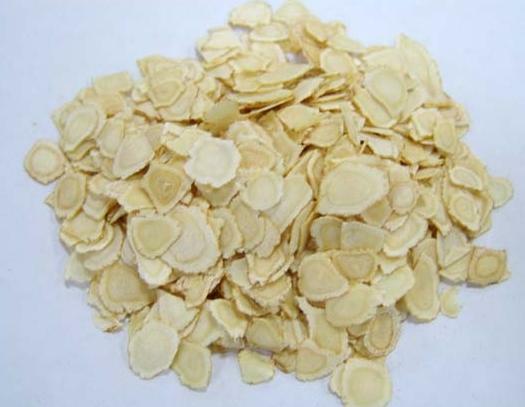 Cultivated in Beijing city, Jiling and Liaoning provinces in China also. Plucked the root in autumn after 3~6 years cultivation. Dried in the sun. Slightly fragrant, bitter and slightly sweet in flavor. Even root, firm, tense thin lines on cover, white-yellow cross section, delicate fragrance, strong in flavor. Unprocessed, or sliced, or ground. Sweet but slightly bitter, cool; lung, heart, kidney and spleen meridians entered. Tonify qi, nourish yin, clear heat and promote the generation of body fluid. This herb is similar to Ren Shen, with the action of tonifying qi and promoting the generation of body fluid. Therefore, it is indicated for both qi and yin deficiency syndrome and diabetes. The qi-tonifying action of Xi Yang Shen is weaker than Ren Shen, but it can clear heat, nourish yin and promote the generation of body fluid due to its bitter taste and cool nature. It is mostly indicated for injury of qi and yin by heat pathogen. For fever with hyperhidrosis, thirst and restlessness, lassitude and fatigue, weak and fast pulse and other symptoms caused by the summer-heat pathogen, it is combined with heat-clearing and yin-nourishing herbs, for instance, it is combined with Xi Gua Cui Yi, Shi Hu, Zhi Mu in Qing Shu Yi Qi Tang from Wen Re Jing Wei; or with Mai Dong, Wu Wei Zi in Sheng Mai San from Hou Ke Jin Yao (Golden key of Treating Throat Diseases). For diabetes in differentiation of qi and yin deficiency, it is combined with qi-tonifying, yin-nourishing and fluid-generating herbs and applied together with Huang Qi, Shan Yao and Tian Hua Fen, etc. 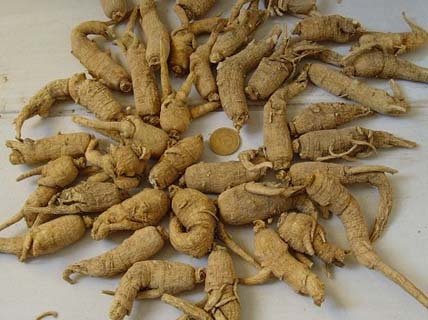 This herb is also indicated for palpitation, insomnia and dream-disturbed sleep caused by heart-qi and heart-yin deficiency, soreness and weakness of lumber and knees, seminal emission and spermatorrhoea caused by kidney-qi and kidney-yin deficiency. This herb is not tonifying lung-qi, but also nourishing lung-yin, clearing lung heat, therefore, it is indicated for chronic cough with little phlegm, hemoptysis, dry throat and lassitude caused by lung-qi and lung-yin deficiency. It is applied singly or together with Bei Sha Shen, Chuan Bei Mu, etc. Decoct 5~10g. Smashed into power, 0.5~1g a time, twice a day. Decocted in herbal tea, it should be decocted along and mixed with other herbal tea.